Quick hit to let you know that MI’s Rick Harp (yours truly) will be part of an informal 4-person roundtable airing today on CBC Radio One about Aboriginal issues and Winnipeg’s Oct. 27 city-wide election for mayor and council. Hosted by Larry Updike of CBC Manitoba’s ‘Up to Speed‘ drive-home program, the show begins at 3 pm central (4 pm eastern, 1 pm pacific). Also taking part will be Maeengan Linklater, Robert Chartrand (co-owner, Connie’s Corner Cafe), and STREETZ-FM’s DJ Sadie. 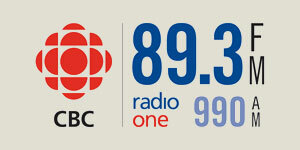 You can hear the stream live on the ‘interweb’ via the CBC.ca audio player.